Hello all, and welcome to another round of Music Monday! Today I'm in need of some serious beats to get me through...it's the second to last week of real classes for this semester, and deadlines are rapidly approaching. Hence, today's post will have four tracks for you to listen to! 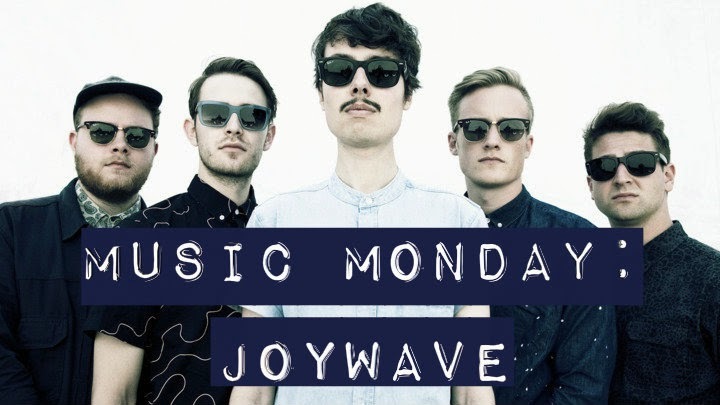 Anyway, today I'm featuring Joywave, an American indie rock band from Rochester, New York. They've done quite a few collaborations, their most well known duos consisting of work done with KOPPS and Big Data. Take a listen, and I hope they make your ears happy! I've got several posts scheduled to go up throughout this week, and while I'll be doing basic, minimal blogging, trust that most of the time I'll either be locked in the Printmaking lab or trying to write an Art History paper that was assigned at the beginning of the semester and is due next week....and I'm just getting started on it. Haha, I can't get over the lead man's mustache! Good luck with all of your studying and the tests!